In December, we hosted a series of Hour of Code events and took part in the Rockets STEM/Robotics Day to continue spreading interest in computer science among local communities, organizations and educators. To celebrate the National Computer Science Education Week, we hosted a series of Hour of Code events. The lesson aims to teach students how to use the computer to design their own story and create their own animations. We held a series of Hour of Code sessions at Gallegos Elementary School and Leonel Castillo Baker Ripley Community Center. In these creative coding lessons, students learned about sequencing and coded characters in ways that surprised each other. Volunteer Krishna helps students with their Hour of Code activity as part of CS Education week. Leonel Castillo Community Center. Courtesy of Wanjun Zhang. December 3rd, 2018. Students participated in the national CS Ed Tech week with Hour of Code Dance Party activity. They learned about events and coded characters in ways that surprised each other. Courtesy of Wanjun Zhang. December 4th, 2018. Student programming cartoon characters in the national CS Ed Tech week with Hour of Code, Dance Party! Courtesy of Amanda Shih. December 4th, 2018. Code Park also joined the Circuit Beats at Houston Rockets STEM Outreach. During the event, we introduced students from 9 different Houston schools to coding and circuitry concepts through the MakeyMakey circuit board, which is used to construct custom-coded electronics. Students teamed up with Code Park to make beats with flowers and circuitry and chanted on the Rockets. The day was a blast! We chanted on the Rockets at STEM Day, and Rockets won their game that night! Code Park volunteers Krishna, Kenia and Zoe prepare for the Rockets STEM outreach event with Circuit Beats, an interactive experience where students make beats with technology, circuitry, and flowers! Courtesy of Amanda Shih. December 8th, 2018. Students teamed up to make beats with Code Park using circuitry and flowers at at Rockets Robotics and STEM Day. December 11th, 2018. 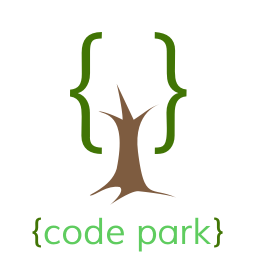 Meet Code Park Volunteer Alex!